Kim Hyung Joon baru-baru ini telah menandatangani kontrak dengan agensi S-Plus Entertainment, dan ini membuat 3 dari 5 member SS501 telah pindah ke agensi baru. Kini Kim Hyun-joong dengan KEYEAST dan Park Jung-min CNR Media dan semua agensi baru mereka menyatakan SS501 tidak akan bubar. Kini tinggal 2 member yaitu Young-Saeng dan Kim Kyu-jong yang belum membuat keputusan. Kim Hyung Joon recently signed a contract with S-Plus Entertainment agency, and this makes three of the five member SS501 has been moved to a new agency. S-Plus Entertainment said this on Friday "We will provide ongoing support for Kim Hyung Joon, so he can conduct activities in all fields of entertainment, including singing and acting outside of Asia." 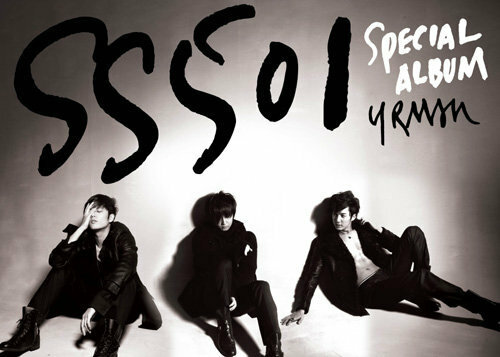 In addition, rumors and speculation that the SS501 will disband after each member walked in their own way, S-Plus states that "one thing to make the most obvious is that the signing of Hyung Joon to the company absolutely does not mean the dissolution of SS501." S-Plus explained that the ability to maintain its activities as a member of this band one of the first issue raised Hyung Joon when they bernegosiasikontrak. "The company respects the opinion of Hyung Joon 100 percent ... ... We will stress once again that Hyung Joon will be first and foremost actively take part in activities as a member of SS501." Now Kim Hyun-joong with KEYEAST and Park Jung-min CNR Media and all of their new state agency will not be disbanded SS501. Member is now only 2,Young-Saeng and Kim Kyu-jong who have not made a decision.